Dundee United came from two goals behind to claim a fantastic 3-2 away win against an Inverness side that finished the game with 10 men. Early goals in either half from Johnny Hayes and Billy McKay put Inverness in front, but United replacement Johnny Russell reduced the lead before a Roman Golobart own-goal levelled. Russell then won the match for the visitors with 12 minutes to go, while David Davis was dismissed for two bookable offences with seven minutes to go. 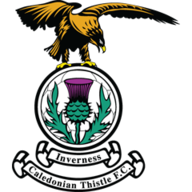 Inverness, who had lost their previous three matches against United, fielded an unchanged starting line-up as manager Terry Butcher kept faith with the same squad of players that had overcome St Mirren 2-1 last weekend. The visitors were aiming to put the disappointment of a 1-0 defeat to Celtic behind them with United boss Peter Houston opting to make two changes. Sean Dillon and Stuart Armstrong were promoted from the substitutes bench, replacing Gary Kenneth and Russell. If the alterations were meant to galvanise United then it had completely the opposite effect as Caley Thistle took the lead with just 69 seconds gone. A surging run from on-loan Wolves midfielder Davis left the defence trailing in his wake as he cut the ball back into the path of Hayes, who thundered home a low shot from eight yards. Inverness, however, suffered a blow in the 13th minute when a collision between Gary Mackay-Steven and Chris Hogg resulted in the latter being stretchered off with a nasty-looking leg injury. 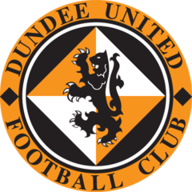 United began to press more, Jon Daly going close with a free header after being set up by Mackay-Steven, but Inverness goalkeeper Ryan Esson was not being tested. Caley Thistle still looked the more dangerous and only a fine save by Dusan Pernis prevented McKay from capitalising on a Robbie Neilson error. McKay may have been foiled just before half-time, but he was not to be denied two minutes into the second half as Inverness were once more out the blocks quickly. Hayes swung in a tempting cross from the right and McKay beat Gavin Gunning to get a vital touch with his head that took it into the corner of the net past Pernis for his first Caley goal. United made an immediate change, introducing Russell for Willo Flood, and the substitute made an instant impact two minutes later. Stuart Armstrong did the hard work in getting himself past several Inverness challenges before the ball broke to Russell, who sent a searing drive past the well beaten Esson. Caley Thistle then absorbed some pressure, Golobart getting his body in the way of Daly's header, but they nearly restored their two-goal led when Richie Foran struck a piledriver from 25 yards that flew narrowly wide. United sensed, however, the comeback was on and they drew level with 64 minutes gone. Mackay-Steven had the initial effort from the angle of the penalty area which, although on target, appeared to be heading into Esson's arms until Golobart diverted it past him and into the corner of the goal. The Spaniard, on loan from Wigan, then came close to atoning for his own-goal, but he could not quite convert Greg Tansey's cross in a match that was now finely balanced. Inverness, however, were nervy and United went in front for the first time with 78 minutes played. Mackay-Steven put the ball through for Russell and he got in ahead of Kenny Gillet to prod the ball home for his second of the game. It then got worse for Caley Thistle as Davis saw red for a second bookable offence in the 83rd minute after catching Mackay-Steven.